My first day at Harvard was great! After a perfectly smooth and uneventful trip on Sunday, my mission for Monday was to get everything up and running for my stay. First I registered at the Harvard International Office, with my passport and visa, my SEVIS payment receipt, and my J1 eligibility form. I just had to fill out a one-page form and I was done. I got the helpful tip to immediately check with the Campus Service Center, whether they already had all the necessary details for my Harvard ID, instead of going to my department first. That was good advice, since the Harvard ID desk was right on the same floor at the end of the hall and they indeed already had all the data they needed to give me my official badge and PIN, which are the keys to all the other services and facilities. 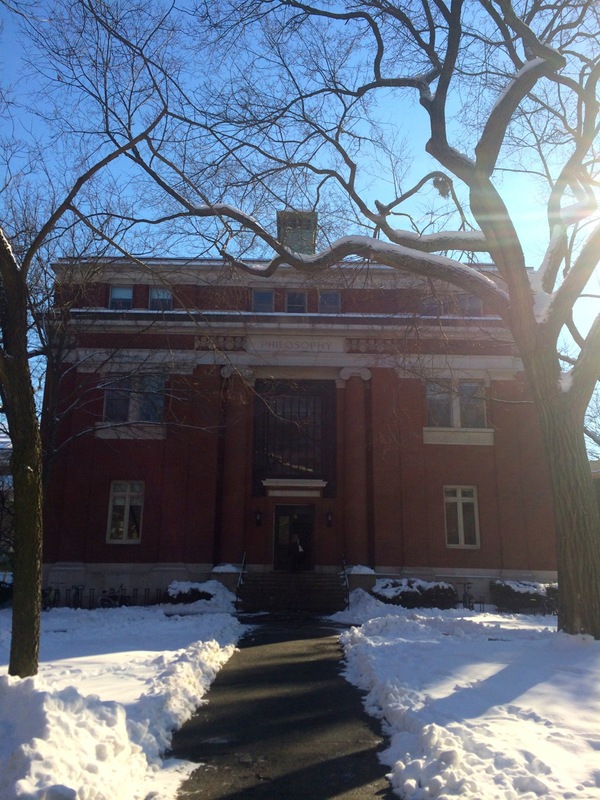 My next stop was Emerson Hall, where the philosophy department is located, to finally meet the Department Staff Assistant who had been so helpful in the weeks leading up to my visit and made all the speedy processing possible. She ensured my Harvard ID would give me access to the building and to the Robbins Library so that I could work there. 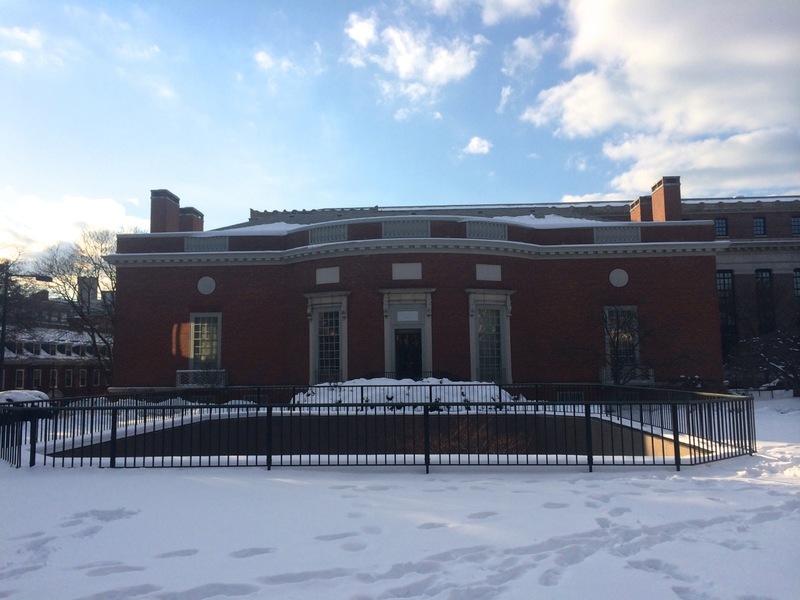 Now I was ready to approach the main target of my visit: the Houghton library. After setting up a special collections account on-line, I could finally get a look at Brentano’s manuscripts. Within minutes I had the folders I asked for in my hand and could get started with the real work. So for the next period, you’ll probably find me in the Houghton reading room, digging through Brentano’s papers on logic and mathematics. Very much hope to see you in Köln on Friday, March 7, 2014!